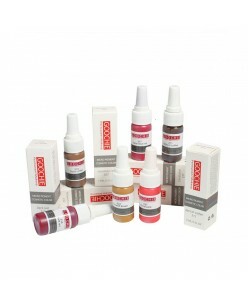 Biotouch Fire Red pigment (8ml.) Double Drop An intense and vibrant red for a range of skin tones, from light to dark. Add Orange to maintain brightness on darker skin tones. How To Use Pigments BioTouch pigments can be mixed to match your client's skin tone for eyebrows, eyeliner and lip liner. Follow these gen.. 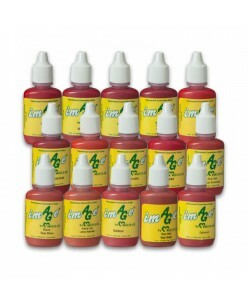 LIQUID COLORSBrilliant and vivid colorful colors produced with high quality pigments. High pigment density ensures maximum color retention. JMT Derma Safe colors are sensitivity-tested by DERMATEST® Munster and comply with Council of Europe Resolution ResAP (2011). *Liquid pigment colors are designed for permanent make-up machine..
ORGANIC COLORSThe new JMT organic line was developed due to increased safety regulations by the EU. Organic pigments provide you with an alternative for the controversially discussed iron oxide pigments. Organic pigments do not contain (unless contaminated) any metals and no nickel. However, don’t confuse organic pigments with n..
Goochie Permanent make up Kit To the Set includes: * 4 pigments; * 5 anesthetics; * The lock for to capture a permanent lip makeup in order to increase the desired color. 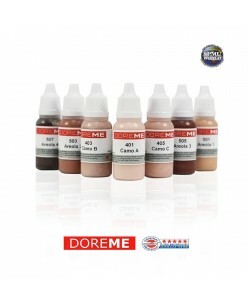 ..
Goochie pigmentai (Micro Pigment Cosmetic Color) 15ml. Goochie pigmentai (Micro Pigment Cosmetic Color) 15ml. 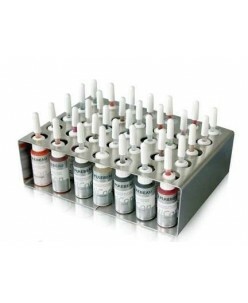 Suitable for all types of permanent makeup machines, small molecular weight. Excellent adopts the skin. ..
Goochie Vip Lips Kit ..
KolorSource pigments for lips (15ml.) KolorSource™ pigments have their origin and safety track record since 1990 beginning with Helen Snow of Scottsdale, Arizona. Helen Snow is a beloved and respected permanent cosmetic professional and instructor since the early nineties. 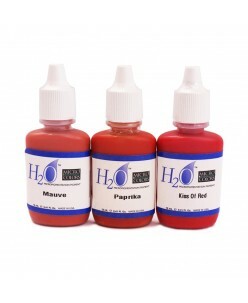 Helen takes a very practical and safe approach toward..
Micro Colors H2O pigments for lips (12ml. )The same great features of the original Micro-Colors pigment line in a unique Pre-Neutralized, Water Based formula. With little to no mixing required to get that perfect color, these pigments implant quickly and easily into all skin types and ethnicities. 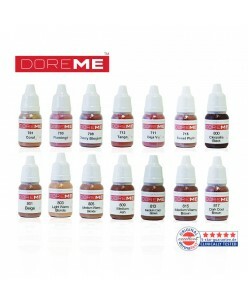 Several Years in deve..
Micro Colors pigments for Lips (12ml.) 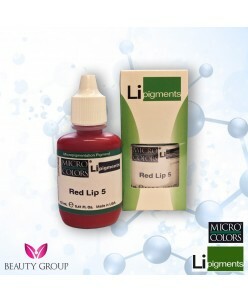 By "LiPigments"Li Pigments is a micropigmentation company located in California, specializing in developing premium permanent makeup devices, pigments, and supplies. The company was founded in 1983 by two sisters, Ms. Lin and Ms. McKinstry. Li Pigments is the loving product of their creativ..
Mei-Cha Image Lip Pigments 15 ml. The pigmentation colours used and their correct application (intensity, mixing ratio, subsequent pigment changes in the skin, etc.) pose one of the biggest challenges of pigmentation. This is why PUREBEAU has developed a comprehensive and particularly safe colour management. This includes not only a totally rel..
Purebeau Lips Pigments (3ml.) The pigmentation colours used and their correct application (intensity, mixing ratio, subsequent pigment changes in the skin, etc.) pose one of the biggest challenges of pigmentation. This is why PUREBEAU has developed a comprehensive and particularly safe colour management. This includ..